The Ohio College Tech Prep program is a seamless, non-duplicative, integrated pathway of education and experience that begins in 11th grade and continues through college and beyond. The curriculum reflects real-world technical careers in high demand today and prepares students to be college and career ready. 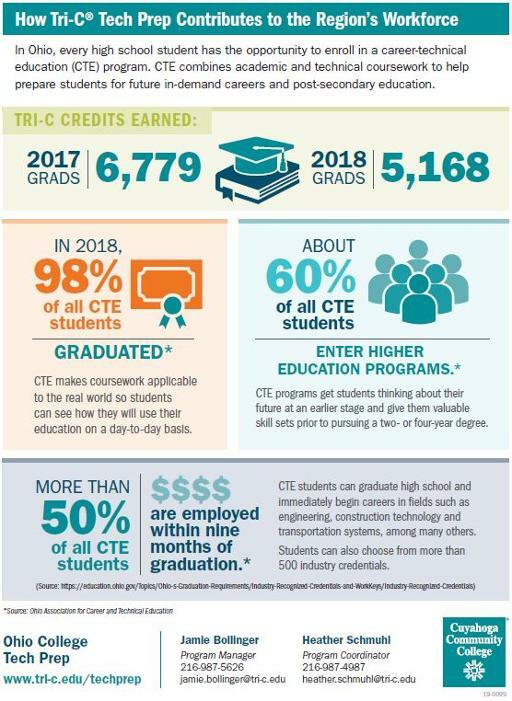 The Tri-C Tech Prep program connects high school and college education to high-skill and high-demand technical employment. Students are enrolled in the Tech Prep program through their high school district. Please click on the link below to view the Tech Prep Scholarship application and to view the scholarship requirements. The scholarship application deadline is Monday, April 22, 2019.